Later this month, we will publish data about the number of requests for information (requisitions) we raise for applications from our top 500 customers. Every day, we send more than 3,000 requests for information (requisitions), when customers omit or supply inaccurate information. These delay the conveyancing process and cost us all time and money. We want to help achieve faster turnaround times for registration applications, by removing unnecessary delays. We plan to publish the data from January 2019 to March 2019 in April. Further datasets will be published quarterly. 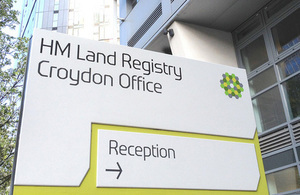 The release of this data supports our ambition to become the world’s leading land registry for speed, simplicity and an open approach to data, and fulfils our Business Strategy target. It also supports the government’s Industrial Strategy, enabling closer alignment with the Competition and Markets Authority’s recommendation for greater transparency in the legal sector. We will continue to work with our customers to improve application quality, making the whole registration process faster and cheaper.